This is a die-cut Mother Penn Motor Oil porcelain sign. This particular Mother Penn Motor Oil sign is red, white, and blue. 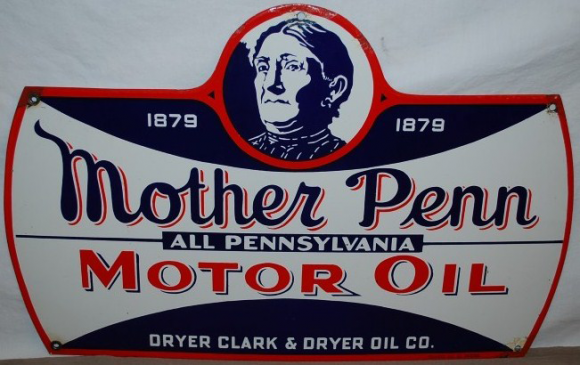 It reads, “1879, Mother Penn, All Pennsylvania Motor Oil, Dryer Clark & Dryer Oil Co.” and features an elderly woman’s face at the top of the sign.